Our Father in heaven Hallowed be Your Name ‘MELECK HaGOYIM King of the Nations 1 Tim. 6:15 Thy Kingdom come. Thy will be done. On earth as it is in Heaven. According to Your word, God is the Highest Authority in Heaven and Earth. We decree and declare that Natural Government and Sovereignty, judicial and legislative, will acknowledge that He is the true Judge, Lawgiver and King. We thank You for the Godly foundations within Government and the Judiciary, established and re-established through the generations by the work of individuals and the power of prayer. In this season of shift, we decree and declare that in this day, Your people across this land will rise up into the fullness of who You made them to be, united in heart and purpose. We declare the ecclesia will arise and the reformers take their places in every arena of this land. We decree and declare that as Your people are increasingly positioned, empowered and released, that which we have seen in the past season of Kingdom influence is only a shadow of what will be seen in the days ahead within our nation. In the Name of Jesus, we speak hope, strength and clarity to Your people, that every thought and every prayer will be aligned with Your word and Your purpose. 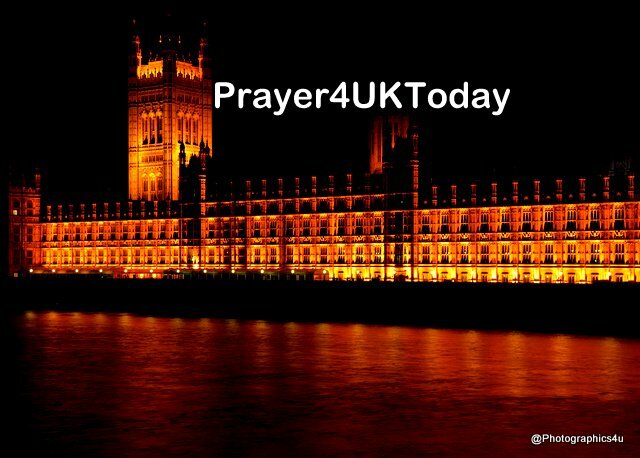 Please continue to pray over the visit of President Trump and all Brexit negotiations.